The Chronicle attributed to Zachariah of Mytilene is one of the most important sources for the history of the church from the Council of Chalcedon in 451 to the early years of the reign of Justinian (527-565). The author who compiled the work in Syriac in A.D. 568/9 drew extensively on the Ecclesiastical History of Zachariah the Rhetor, who later became bishop of Mytilene and ended up giving his name to the whole work. But Zachariah’s Ecclesiastical History, which forms books iii to vi of Pseudo-Zachariah’s work and covers the period from 451 to 491, is just one of a range of sources cited by this later compiler. For the period that follows, he turned to other well-informed sources, which cover both church and secular affairs. His reporting of the siege of Amida in 502-3 clearly derives from an eye-witness account, while for the reign of the Emperor Justinian he offers not only numerous documents, but also an independent narrative of the Persian war, as well as notices on the Nika riot and events in the West. This translation (of books iii-xii) is the first into a modern language since 1899 and is equipped with a detailed commentary and introduction, along with contributions by two eminent Syriac scholars, Sebastian Brock and Witold Witakowski. 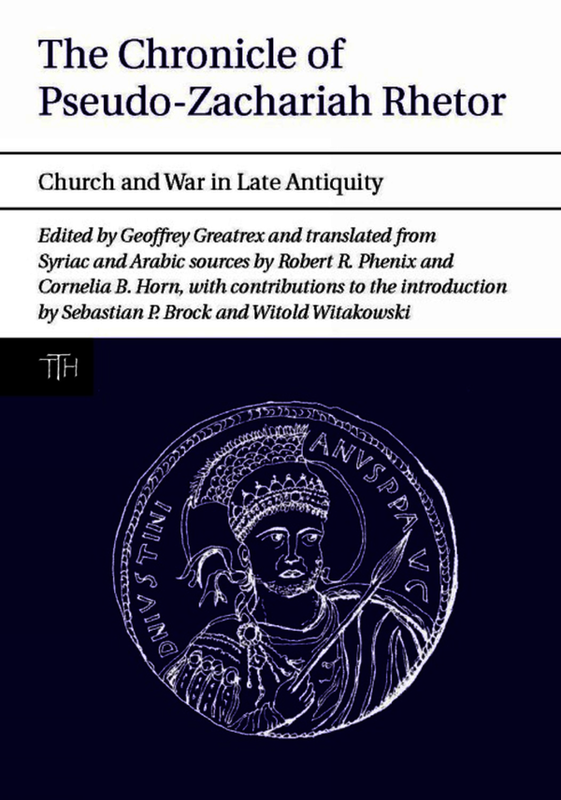 … I would recommend this book very highly to those interested in Christian history or those who are wishing to investigate every nuance of the history of the Later Roman Empire, and I would like to put on record my thanks to LUP for making this volume available. ... Greatrex et al. accomplish their purpose of making PZ's work more accessible to scholars and students, in no small part by distinguishing so carefully PZ's work from that of his namesake. The incredible level of detail and high standard of editing are characteristic of the Translated Texts for Historians (TTH) series more generally. Sebastian Brock is Professorial Fellow at Wolfson College, Oxford.